After a Bourbon Series, I think it might be appropriate to show you at least one way I enjoy my bourbon. I especially like that it incorporates the seasonal ingredients of peaches and basil. Don’t be put off by crushing the peach. It only takes a minute and having the smoothness is essential to me. I don’t like chunky drinks. I do like this though! And you will too. Promise. Pit the peach and press it through a small screened strainer or a Foley mill. 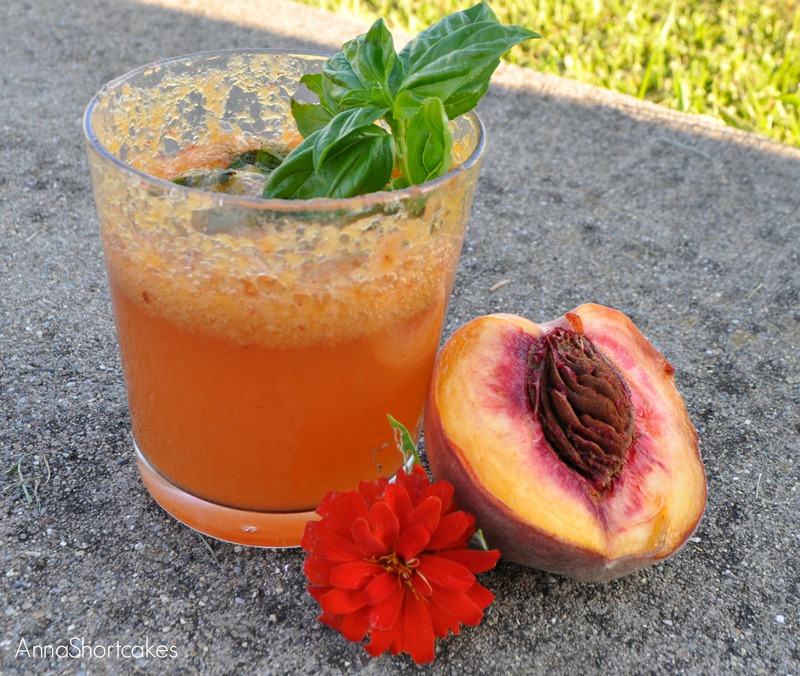 Muddle the basil leaves and the peach together. Add the bourbon, simple syrup, and ice. Top with Sprite. Garnish with a basil leaf. Makes one cocktail.